We may use your personal information to send you information on company updates, other services and products available from us, companies under our control, and companies associated to us by our Directors which may be of interest to you. This information will be sent either directly to you by Direct Traveller Ltd, companies under our control, companies associated to us, or on our behalf by third parties. We may also use your email address to send you updates about your account. We may use URL information we collect to help direct advertising to you that is more likely to be of interest to you. 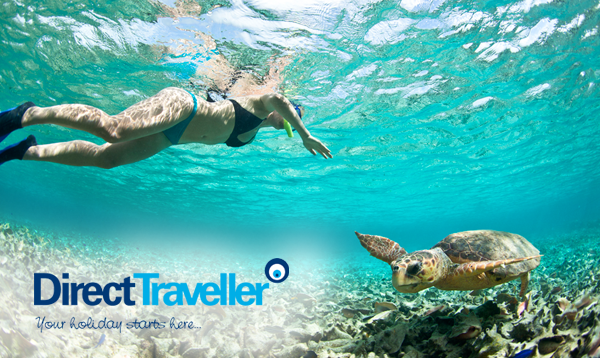 If you do not wish to receive such broadcasts from Direct Traveller Ltd or have your personal information used in any of the ways outlined above you may opt out at any time by sending an email to marketing@directtraveller.com or write to our trading address requesting this in writing. You may also manually unsubscribe from email newsletters by choosing this option in the email you have received. At present, Direct Traveller Ltd holds its records of Personal Information for all our operations in the UK. You may request to view the information we old about you at anytime by contacting marketing@directtraveller.com or write to our trading address requesting this in writing. 2. When you return to our website, we remember you so we can give you a tailored user experience. 3. Understand how many visitors come to our website pages and what pages they visit. Most of these cookies get deleted the moment your browser is closed; which is known as a session cookie. Other cookies are also known as persistent cookies as they are stored on your computer until they expire or when you delete them. Through your browsers settings you can delete or block cookies. Doing so may affect your user experience and the performance of our site on your computer including limiting the full range of services available to you. For more information on how to setup your browser and also how to manage cookie preferences, please visit AboutCookies.org. This allows you to chat directly with us in case you require any assistance on our website. We work with number of 3rd parties who provide personalised adverts on selected 3rd party websites. We don't control the setting of these cookies, so we suggest you check the third-party websites for more information about their cookies and how to manage them. Some of the third parties that may set cookies on our site, and where to find more information about them, are listed below.